Pakistan’s military accused India of violating its airspace after Indian air force jets struck “Kashmir terror camps” across ceasefire line in Kashmir. Indian forces targeted a training camp of Jaish-e-Mohammad (JeM) militants located in Balakot as a top Indian minister stated. “Credible intel [intelligence] was received that JeM was planning more suicide attacks in India. In the face of imminent danger, a pre-emptive strike became absolutely necessary”, Indian Foreign Secretary Vijay Gokhale said in a statement. 12 Mirage 2000 fighter jets crossed disputed border between Pakistan & India embraces regions of Jammu & Kashmir,3.30am local time. Indian jets make a “hasty withdrawal” in addition to dropping payload in an open area in order to prevent casualties. Residents of several towns in province called Khyber Pakhtunkhwa located in Pakistan were woken on Tuesday morning by loud explosions early. If the use Mirage 2000 jet fighter is really happened, Pakistan could construed as a nuclear first strike. 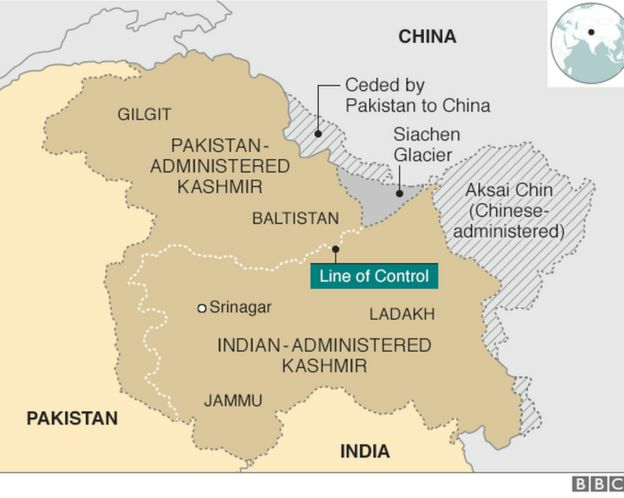 During a gun battle in Kashmir, a counter insurgency police officer besides an army soldier were killed as shops and businesses shut down to protest a sweeping seeking the end of Indian rule in disputed region. At least half a dozen civilians were injured after government forces had opened fire with shotguns in order to quell the protesters. Police and paramilitary soldiers wore riot gear while carrying automatic rifles in addition to erecting iron barricades & laid razor wire on roads & intersections in Srinagar, the region’s main city, in order to cut neighborhoods off. “This is purely related to the (February 14) attack. The response of security forces is guided solely by the need to counter both the impact and any further action that may be taken by terrorist groups who are still out to disrupt our country”, Satya Pal Malik, State Gov. said in a statement. 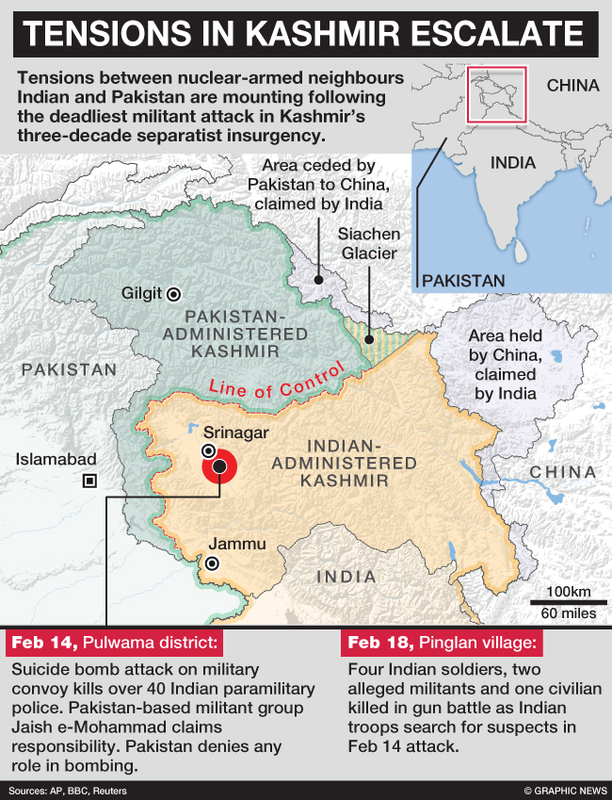 Pakistan-based JeM carried militant operation on 14 February caused the death 46 Indian paramilitary police that is considered the deadliest attack in Kashmir for decades on Indian forces.